One of my favorite flavor combinations is chocolate and strawberries. When I see big juicy strawberries I almost always imagine them dipped in chocolate and chilled to perfection. 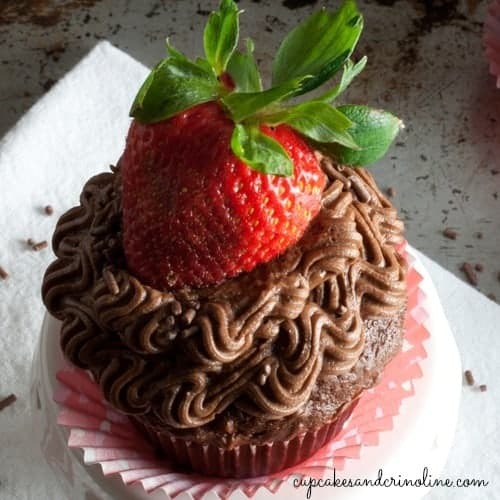 These cupcakes are decadent (not horribly though!) 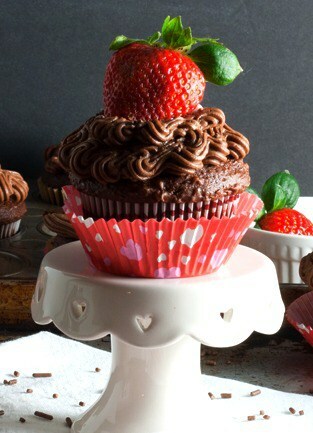 and delicious and they taste like chocolate covered strawberries in cupcake form. 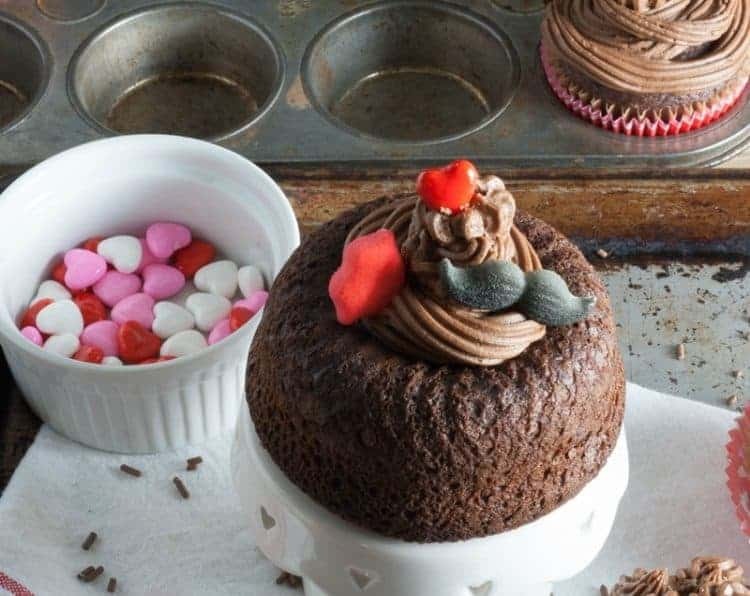 They’re easy to make and would be perfect for Valentine’s Day. I bought some cute mustaches and lips and heart-shaped candies to add to the top of a few! Preheat oven to 350º. Combine cocoa and boiling water in a large heatproof bowl stirring until completely blended; allow to fully cool before proceeding to next step. In the bowl of an electric stand mixer beat butter until creamy. Gradually add the sugar beating until well blended. Add eggs, one at a time, beating until fully blended after adding each egg. 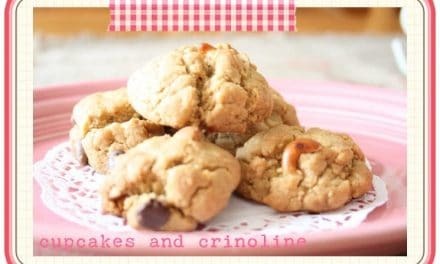 In a separate bowl combine the flour, baking soda, baking powder and salt and slowly add to butter mixture alternating with the cocoa mixture beginning and ending with the flour mixture. Beat at low speed until just blended (do not over mix). Stir in strawberry extract. 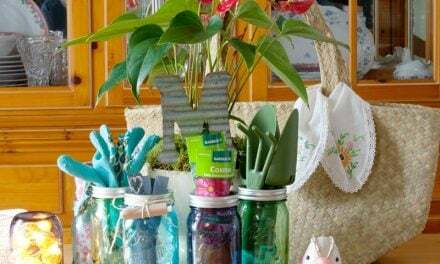 Place paper baking cups in muffin pans and spray with cooking spray. Fill baking cups 2/3 full. Bake for 12 to 15 minutes. Cool in pans on wire racks for 10 minutes; remove from muffin pan and allow to completely cool on the wire racks. Beat butter, cocoa, whipping cream and salt at medium speed until creamy. Gradually add the powdered sugar 1/2 cup at a time. You may need to add a little more whipping cream 1 tablespoon at a time if the frosting is too stiff. 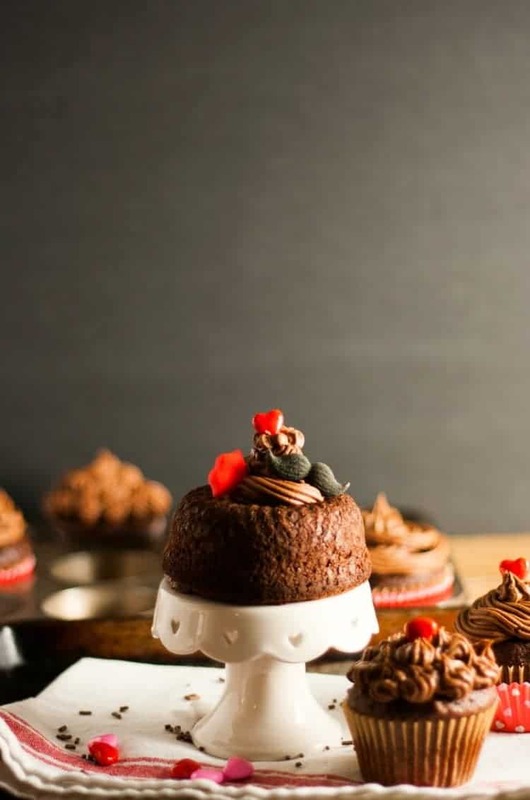 Use a piping bag with a decorative tip to frost the cupcakes. Sprinkle with chocolate jimmies and add fresh strawberries if desired. I would love to hear what your favorite cupcake flavor is? 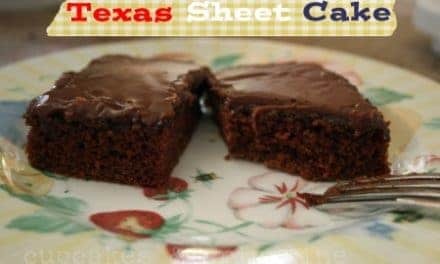 Texas Sheet Cake ~ oh my!